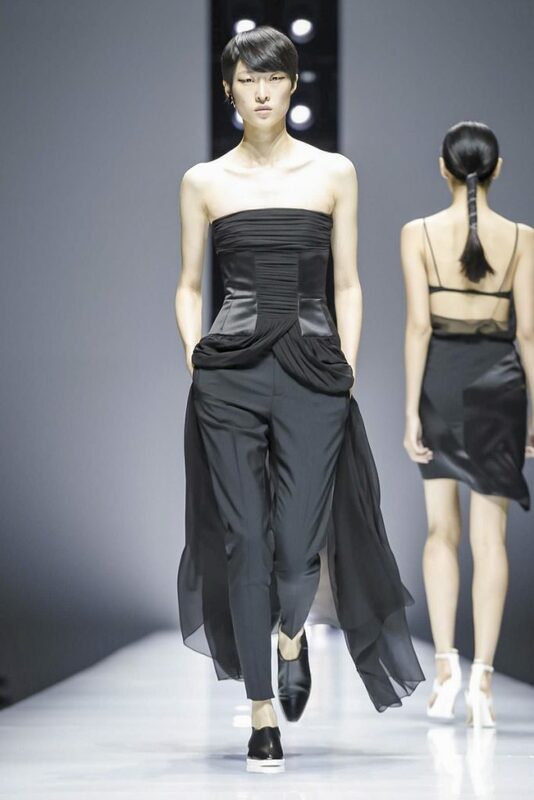 The anagram of Lanvin is not lapidary but nival, the rich Chinese woman, Shaw-Lan Wang, who is in reality Taiwanese, recruits the new designer on feeling. But who would be the fashion designer of her dreams? It is a man, 100% straight, no salary expected, and supposed to have no integrity … For this first collection of Olivier Lapidus the emotion is egal at : nothing ! in the same way that you have no emotion when you go to Zara. No observation of the world, superficial, outfashioned dresses, the common sewing and devoid of characteristics. We leave the collection as the pigs emerge from a quagmire, stunned by displeasure. Even, Mrs. Imatoumi of the Qing dynasty, told me at the end of the show that she had never seen so much ‘duster cloth’. If you do not believe me, look at the pictures hereafter immersed in this abyss of diarrhea incubator, and you will stay without stifling or throw up, is prohibited, as a prisoner of the none creativity house Lanvin.